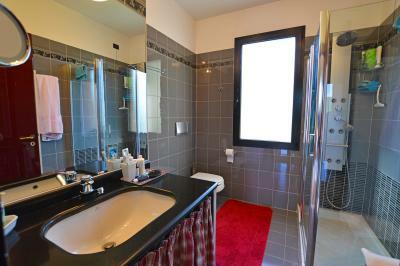 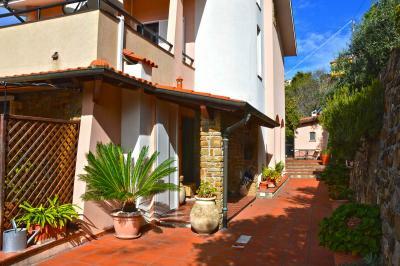 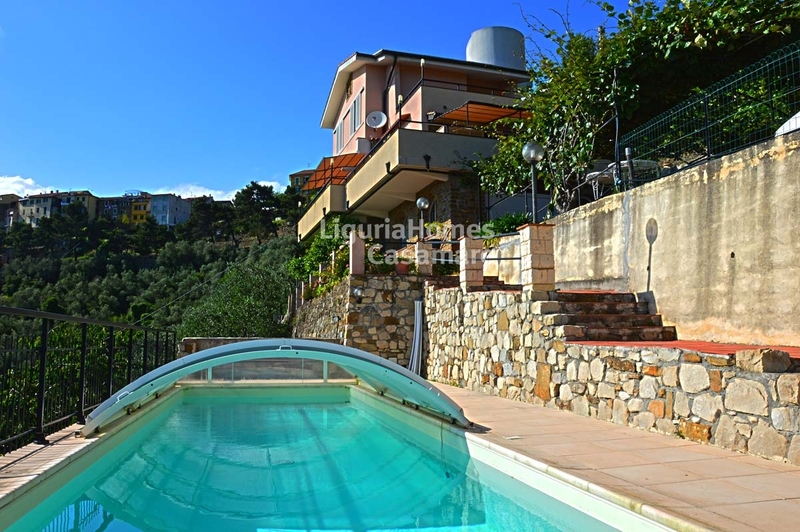 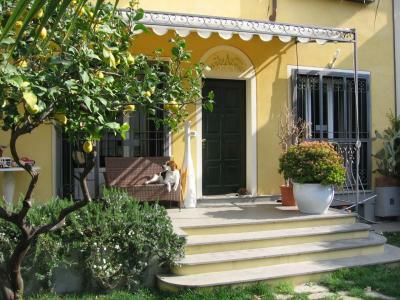 Panoramic Villa for Sale with swimming pool. 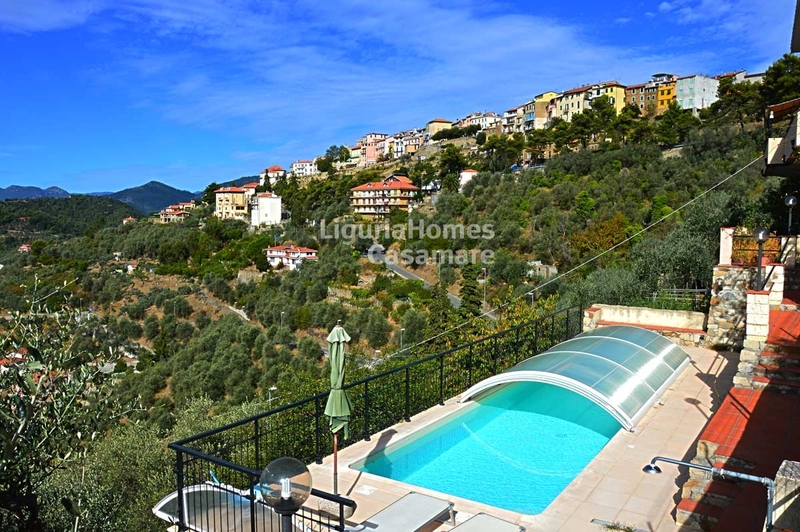 At walking distance from the nice historical Village of Perinaldo, Villa for Sale surrounded by its beautiful land of 3,200 sq m with 50 olive trees. 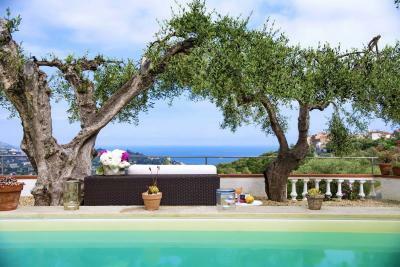 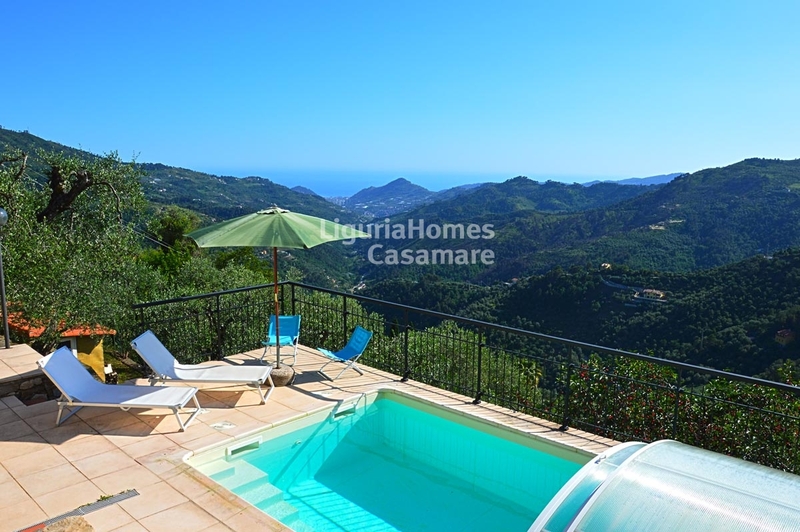 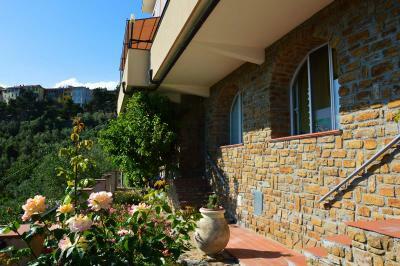 This Villa for Sale in Perinaldo enjoys an outstanding view overlooking the valley over the sea. 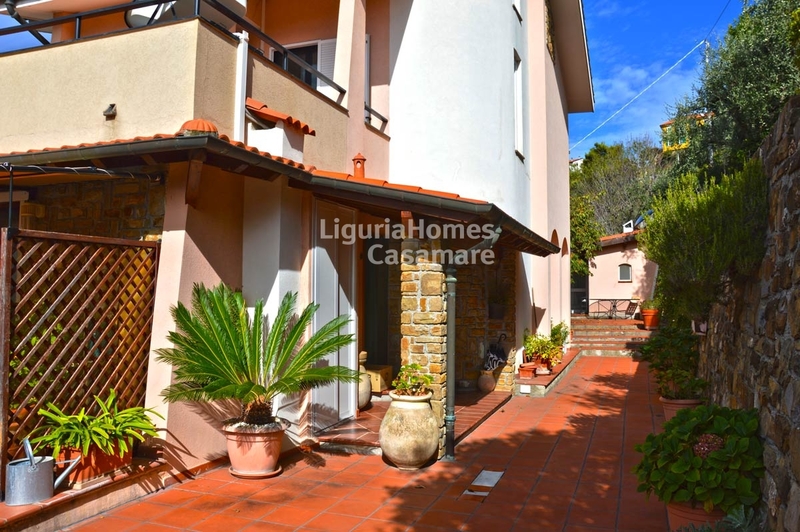 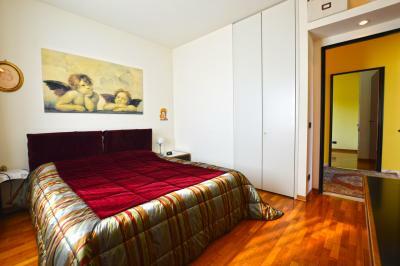 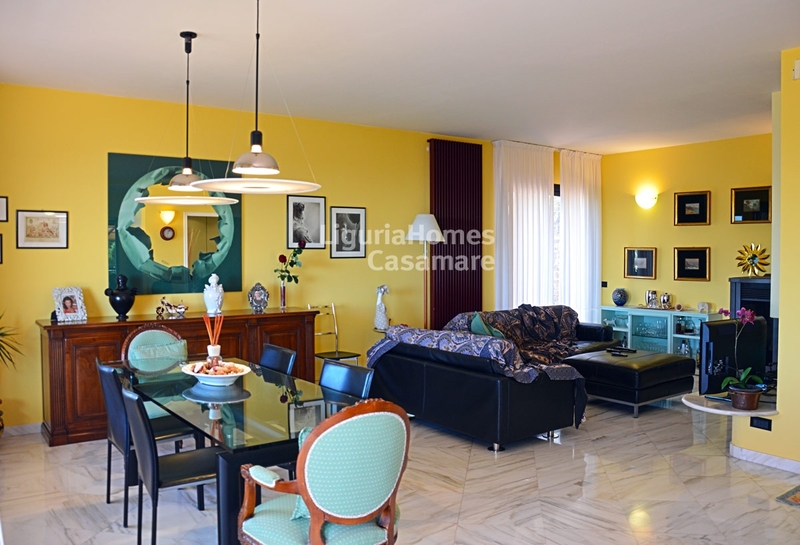 The property looks in perfect conditions, set over 3 floors, it consists of: large and bright living room with fireplace, kitchen, 3 double bedrooms, 2 bathrooms and an independent 1 bedroom apartment on the lower ground floor, a spacious garage and a wine cellar. 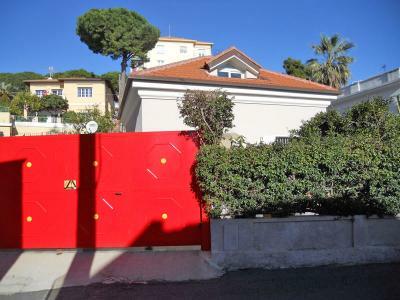 The property includes also an outbuilding, actually used as a summer kitchen with bathroom, a barbecue zone and a spacious parking area. 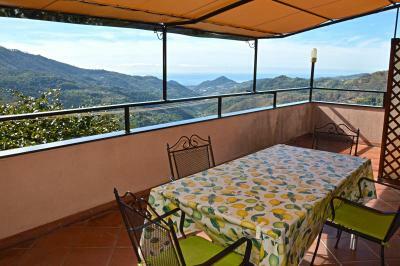 A double photovoltaic system is another plus of this wonderful property for Sale in Perinaldo.